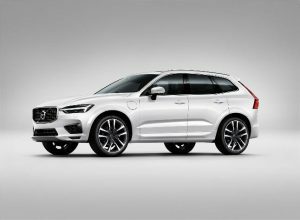 The new 2019 Volvo XC60 continues its evolution of one of Volvo’s most successful models by adding more standard equipment, new front-wheel drive powertrain variant, additional exterior colors, as well as an even further simplified option package structure. The XC60 blends new levels of luxury with a more dynamic and adventurous persona. There are three Trim Levels of al new 2019 XC60. R-Design Front Grille, High-gloss Black with Silk Metal Finish Frame. Make sure to keep a look out for the all new XC60 at LaFontaine Volvo in Farmington Hills in the near future!